Criminals operated with impunity along the northern border. 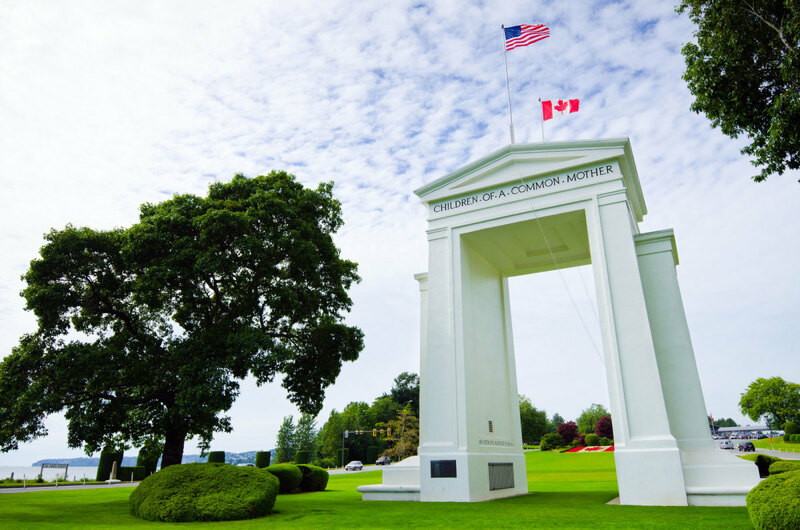 Near the westernmost point of the border between the United States and Canada, the Peace Arch straddles the world’s longest undefended international boundary. 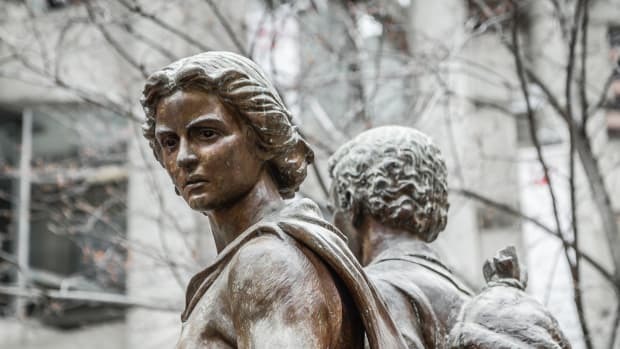 The inscription atop the monument honors the friendship between two “children of a common mother,” but this was not always the case. 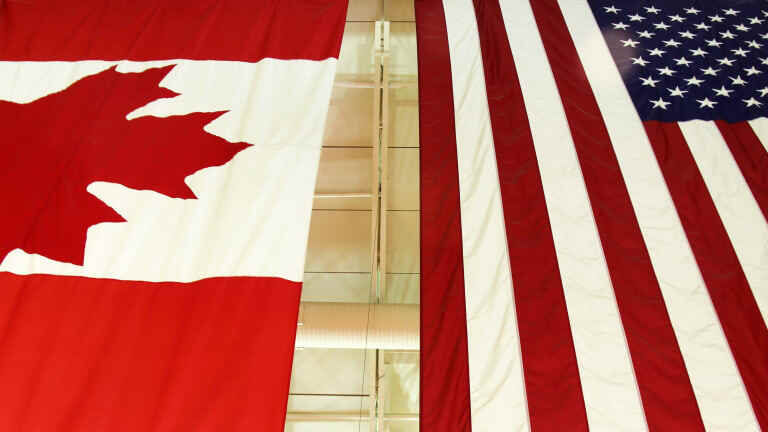 The U.S. and Canada may be peaceful neighbors now, but they had a violently contentious relationship in their early years. In the aftermath of the American Revolution, the United States and the British colony of Canada endured “more than a century of suspicion, hatred and bloodshed,” writes John Boyko in Blood and Daring: How Canada Fought the American Civil War and Forged a Nation. 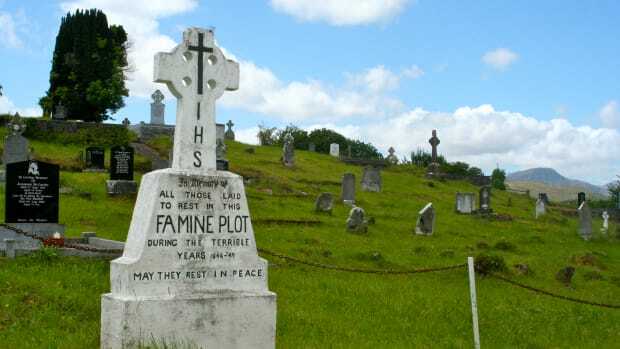 America’s northern border was once a lawless no-man’s-land frequented by counterfeiters, transnational criminals and outlaw gangs smuggling alcohol, produce, opium, gypsum and livestock. These smugglers deprived the American government of its fiscal lifeblood—import duties—but were popular with people along the border since they generated jobs and kept prices low. The Peace Arch at the United States and Canada border between the communities of Blaine, Washington and Surrey, British Columbia. 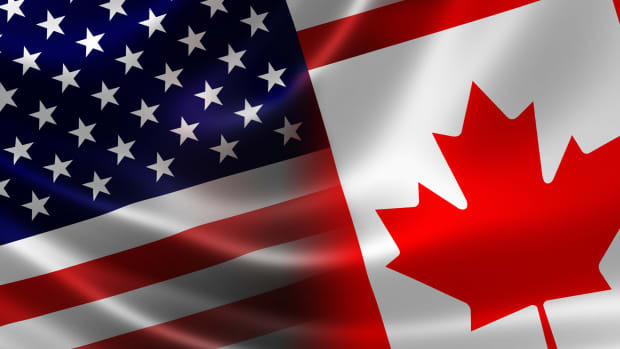 After the Embargo Act of 1807 closed American ports to foreign trade, United States revenue agents could do little to stop the deluge of pirated goods that crossed the border from Canada. 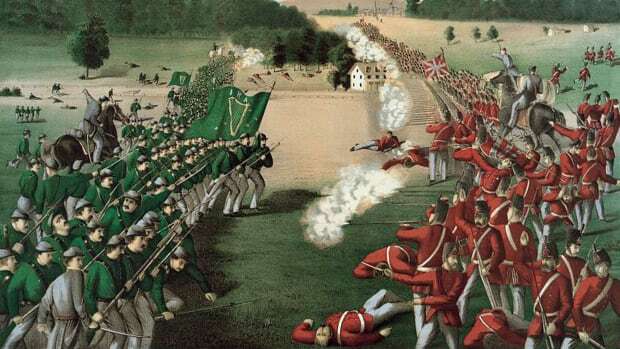 During the War of 1812, British troops responded to the American invasion of Canada by launching repeated border raids, even burning Buffalo to the ground. Throughout the 1800s, the United States had very lax control of its northern border as customs officers resided in village centers miles from the dividing line. Part of the border security problem was that oftentimes no one was exactly sure where the boundary was. In fact, when President James Monroe ordered construction of a fort on the New York shoreline of Lake Champlain after the War of 1812, it was inadvertently built a half-mile inside enemy territory due to a surveying error. 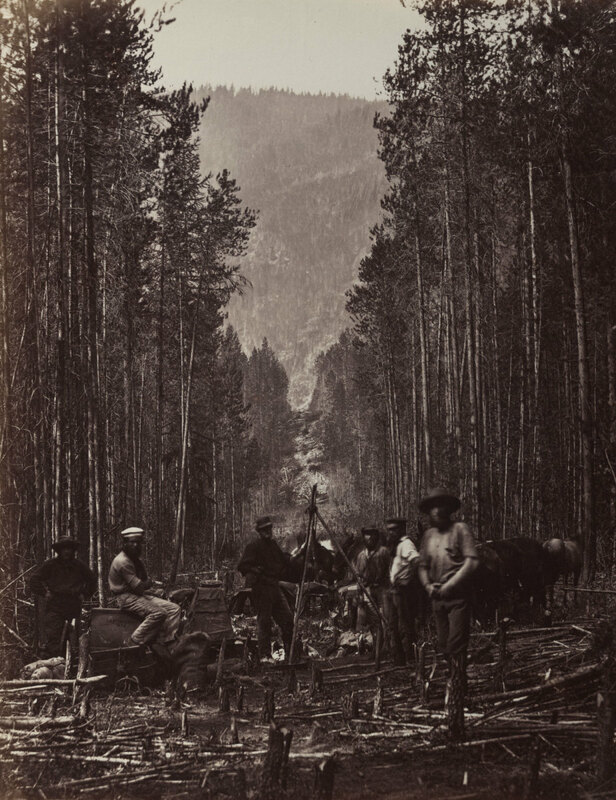 British North American Boundary Commission survey crew members clearing and marking the boundary line between Canada and the United States, along the right bank of the Moyie River, circa 1860. A lack of official treaties and federal extradition powers also emboldened lawbreakers along America’s northern boundary. 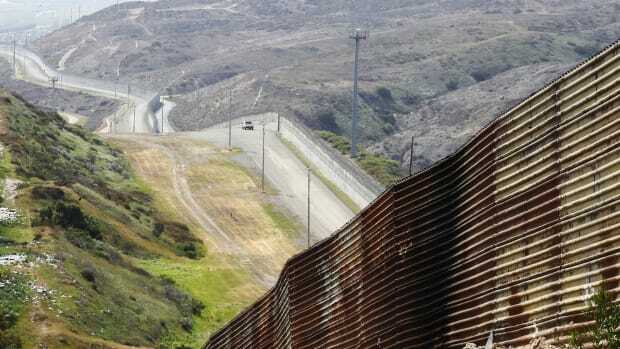 “Criminals could cross and re-cross the border at will, shielding themselves from the territorial reach of the law that pursued them,” says Bradley Miller, a University of British Columbia history professor and author of Borderline Crime: Fugitive Criminals and the Challenge of the Border, 1819-1914. During the Civil War, Union draft-dodgers and escaped Confederate prisoners of war streamed north across the border to find safe haven in Canada. Although most Canadians viewed slavery as abhorrent, Boyko says many Canadians also hoped a Confederate victory could shatter the monolith of the United States, which threatened to absorb Canada as it continued its march toward its Manifest Destiny. In fact, weeks before he assassinated Abraham Lincoln, John Wilkes Booth spent time in Montreal meeting with Jacob Thompson, head of the Confederate Secret Service, and amassing money for the operation, says Boyko. In the days following the shooting, conspirator John Surratt Jr. fled north, where a Catholic priest in Quebec gave him asylum before he absconded to Liverpool. Widespread smuggling continued after Canada became a self-governing entity in 1867. During Prohibition, bootleggers employed fleets of automobiles, boats and sleighs to illegally transport alcohol from Canada to its thirsty neighbor to the south. It was a lucrative enterprise. A case of whiskey purchased in Quebec for $15 could be sold for $120 on the other side of the border. A virtual pipeline of alcohol flowed across the Detroit River from Windsor, Ontario, to Detroit. By some estimates, three-quarters of all liquor smuggled into the United States from Canada during Prohibition crossed through the aptly-nicknamed “Detroit-Windsor Funnel.” Miller says creative smugglers built warehouses with trapdoors over the Detroit River so that boats could pull up underneath to load their contraband, out of view of customs and police officers. Bootleggers modified Great Lakes fishing boats with specially designed holds for kegs and even installed an underwater cable system that could deliver 40 cases of liquor an hour across the river. 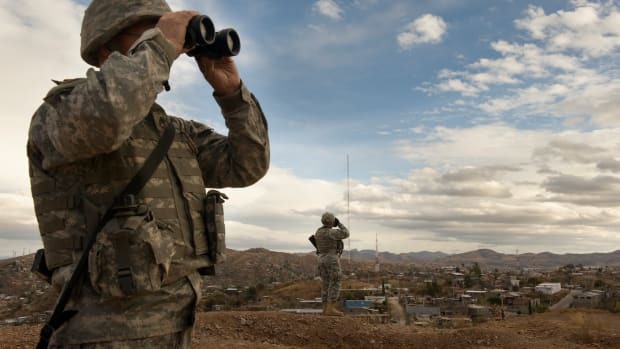 While American border security concerns today are focused on the boundary with Mexico, smuggling is still a problem to the north along the 5,525-mile border with Canada. The United States Drug Intelligence Center estimates that Canadian gangs smuggle $56 billion in drugs across the border every year.